President Trump announced early Tuesday morning that the U.S. would be ending "war games" (joint military exercises) with South Korea, a significant concession to North Korea that does not appear to have been made in consultation with Seoul. How it's playing: South Korea is reportedly seeking more information about what Trump meant. Bill Neely, NBC News' Chief Global Correspondent, tweets: "There is every indication from Seoul that the South Korean leadership and military did not know the US was about to cancel Joint Military exercises. 'We need to find out' they say. Stunning if true." The rhetoric that accompanied the announcement was significant as well. Trump called the exercises "provocative," undermining the Pentagon's long-time claim that they are purely "defensive" and not a threat to North Korea. 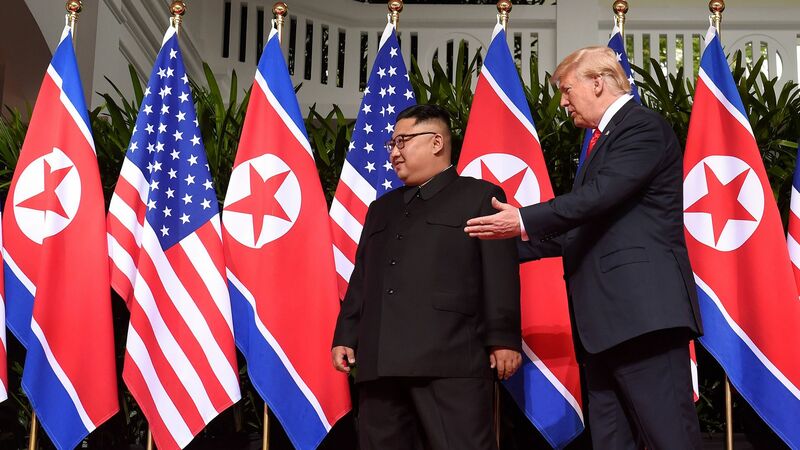 He said it was "inappropriate" to continue while negotiating a peace deal, and North Korea "really appreciated" the step. His main complaint was the "tremendous" cost. "South Korea contributes but not 100% and that's something we have to talk to them about also," he said. One key line: "I want to get our soldiers out, I want to bring our soldiers back home ... that's not part of the equation right now, at some point I hope it will be."